We have a long proud history of selling Norbar in Australia since 1964. Snap-on, Torqueleader and Warren and Brown. Torqueleader, Hytorc as exclusive agents in Australia. 1987 Leigh Packer joined company to oversee distribution/agency growth throughout Australia. 1991 NSW Office opened which included a workshop, sales and stock holdings. 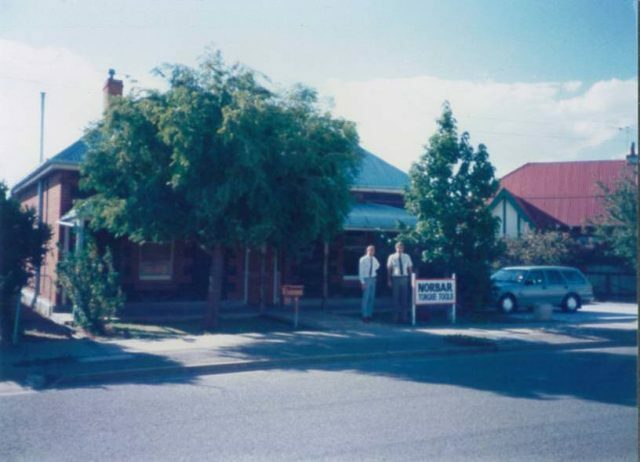 1992 Victorian Office opened focusing on sales and stock and servicing Victoria and Tasmania. 1993 Obtained NATA 17025 Certification for our Laboratory in SA. 1996 WA Branch opened included a workshop, sales and stock holdings. 1997 QLD Branch opened included a workshop, sales and stock holdings. Holdings and The Packer Family Trust. 2002 Set in motion the strategy to service the Asian Pacific Region. Opened an office in NZ. 2004 Singapore Branch opened to service the Asian region. larger warehousing and staff growth in Edwardstown. 2012 Matt Packer appointed Managing Director. 2014 Packer Family became sole owners of Norbar Australia and NZ. 2014 NSW and Victorian warehouses moved to Central location – Adelaide. Board recommendations to allow a direct end user entry into the local regional market. 2017 Snap-on Limited acquired Norbar globally. Norbar Australia will continue to operate under the Norbar name and continue to be the leaders in torque, tension and all related services, backup and support. We are the proud suppliers of the Norbar brand of torque wrenches and torque equipment, globally recognised as being faster, safer and more accurate than any other toool on the market today. As a customer you want the right equipment that does the job quickly, efficiently and safely. Every job, just like every person, is that little bit different and so expansion to our products and services ensures that we be an excellent resource to finding exactly the right equipment or service to help you achieve your purpose. You will still deal with the same great people around Australia and New Zealand and continue to purchase all the same quality products and services you have been able to depend on us for … but now we’re upping the anti! We’re going for an all over upgrade: office and workshop improvements; quote layouts; and product information documentation are just some of the areas that are being upgraded with our new branding. If you have any questions or feedback please let us know, we’d love to hear from you. Call us, send us an email or have a chat with our Technical Sales People. We’re sure to have the ideal product that suits your needs.